Keeping your roof in top shape ensures that you’re safe and comfortable all year long. Minor problems like a small isolated leak or a loose shingle need immediate repairs. 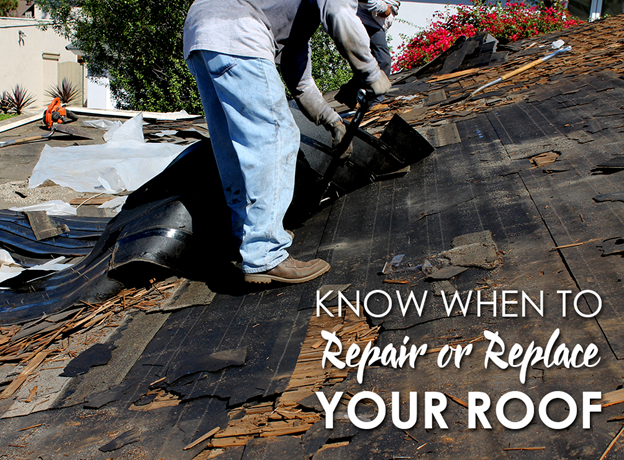 If your roof has major leaks or widespread wear and tear, you may need a complete replacement. Different materials have different requirements. For instance, slate and tile roofing are less likely to require a complete replacement unless it’s over 70 years old. Some materials, on the other hand, can endure too much damage even before the end of their service life. Poor maintenance or extreme weather conditions can cause these issues. Metal is a common material used for Manassas roofing because of its durability. Unless damaged by extreme winds or impact from hail or fallen trees, it will rarely require repair. A typical metal roof inspection would involve looking for signs of extensive corrosion, which is a kind of damage that only experts can assess. Typically, roofers like us can easily repair small and localized spots. Asphalt shingles is another common roofing material in the country. This type of material requires easy repairs especially when you only need to fix a small area. If you see a large area of your roof with damaged shingles, it’s time to consider a replacement. Repair or replace mostly depends on the roofing type and the damage the material has. Slate and tiles roofing in Manassas last a long time if you schedule regular maintenance. This means you won’t need a replacement anytime soon. Metal requires a closer look, while age, visual condition, and signs of damage determine the right type of service needed for asphalt roofing. Consulting a professional roofing contractor is still the best way to if you want to be 100completely sure. Peak Roofing Contractors has extensive knowledge and training on nearly every residential and roofing type. This means that we can make a precise assessment of your roof’s condition and recommend the needed repairs. We will recommend a complete roofing system if the damage is too severe for minor repairs. If you want to learn more about your roofing system, don’t hesitate to give us a call at (703) 745-5153. You can also fill out our contact form for a free estimate.